When a Doctor Who construction set arrives in the mail, it's the perfect excuse to be a child again (unless, of course, you actually are one). Firstly we need to address the elephant in the room; this is Lego, but without Lego actually having anything to do with the product. For years we have championed the fact that Doctor Who Lego products would be a hot item for kids (and adults), but, alas, it seems they didn't spot the gold in them there hills. Thankfully, Character Options did! And what a treat to behold these new Mini-sets are. Our first review for the range is the Dalek Progenitor Room. It's not as big as you might think, in fact the packaging can just about fit through a standard letterbox, but this is no problem as it's a great little standalone set. There are 188 pieces in total, and build time takes between 15-20 minutes. Construction is simple, although a couple of the images in the build booklet are a tiny bit confusing - the hardest part is applying the stickers to the consoles and the progenitor door flaps. 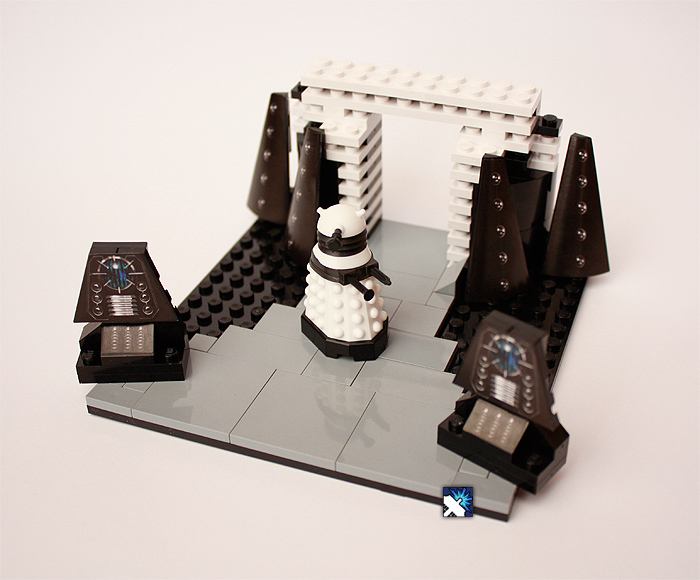 Also worthy of mention is the Supreme Dalek figure that is included in the set. A loyal replica of its on-screen original, easily constructed from 9 parts, but for convenience, comes pre-assembled. Hopefully at some point Character Building (Character Options' construction range who manufactures the Micro Figures and Sets), will release some extra bases and building bricks so fans can build around the Mini-sets. Original 'Planet Of The Daleks' VFX Dalek Model Prop Discovered By Toybox TreasuresOur friends over at Toybox Treasures recently got in touch with DWO with some rather exciting news r...Review: The Time of Angels Mini-Set - ToyDoctor Who The Time of Angels Mini-Set, Character Building Toy Review for Doctor Who Online.Review: The TARDIS Mini-Set - ToyDoctor Who The TARDIS Mini-Set, Character Building Toy Review for Doctor Who Online.